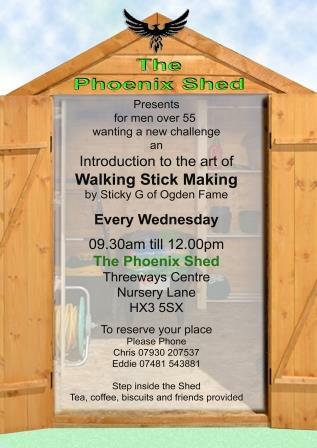 The Phoenix Shed at the Threeways Centre is primarily for men over 55 to come together in a constructive way. As well as the gardening many other things are happening as follows. 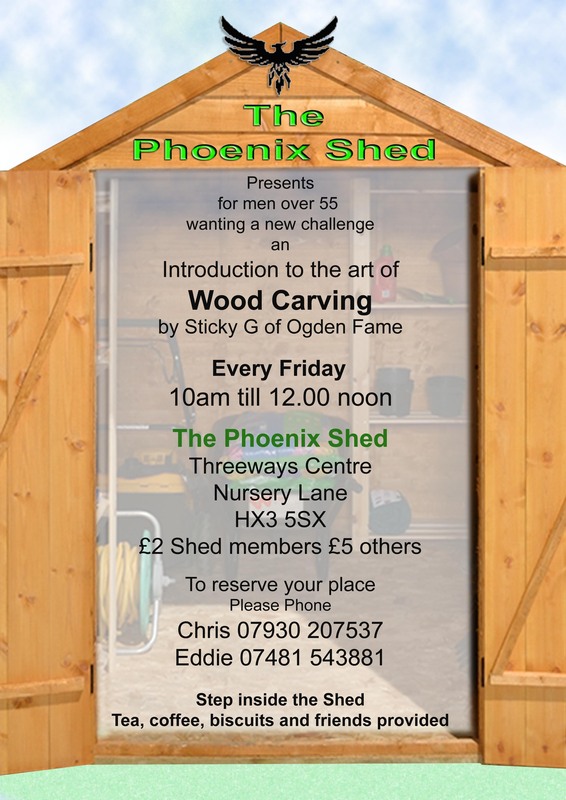 Wood carving sessions run every Friday, 10:00am-12:00pm and are quite busy, but there’s room for a few more. If you have your own tools, then so much the better. Each session costs just £2. Phone Chris 07930 207537 or Eddie on 07481 543881 to see if places are still available. The Wednesday morning walking stick making sessions are proving popular too. If you would like to try making one for either yourself, or for someone special, why not come along and try it out. Each session is from 9:30am-12:00pm and costs just £2. Phone Chris 07930 207537 or Eddie on 07481 543881 to see if places are still available.